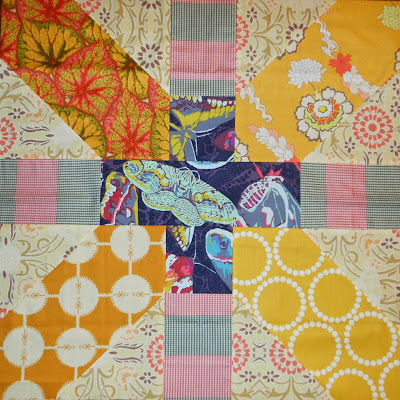 which she credits inspiration to Setsuko Inagawa's quilt and original block attributed to Nancy Cabot. Brenda/Just a Bit Frayed 12.5"
A few weeks ago my picture caught a lot of attention on flickr and comments on a recent blog post so when Leanne at She Can Quilt invited me to be part of the FAL Q3 Guest Tutorials, it was perfect timing. I've only written a tutorial twice before; Polaroids and Tassels and have never been a guest blogger - so if all of this seems a bit rough around the edges you'll know why! 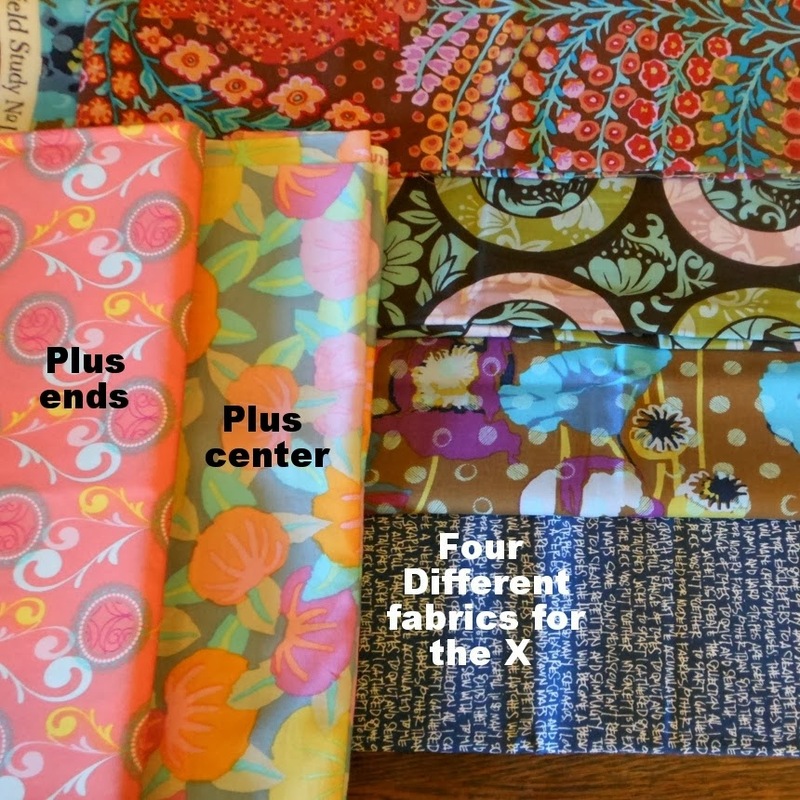 Plus Center = Two 4.5"x 4.5"and One 4.5"x12.5"
all seams 1/4. 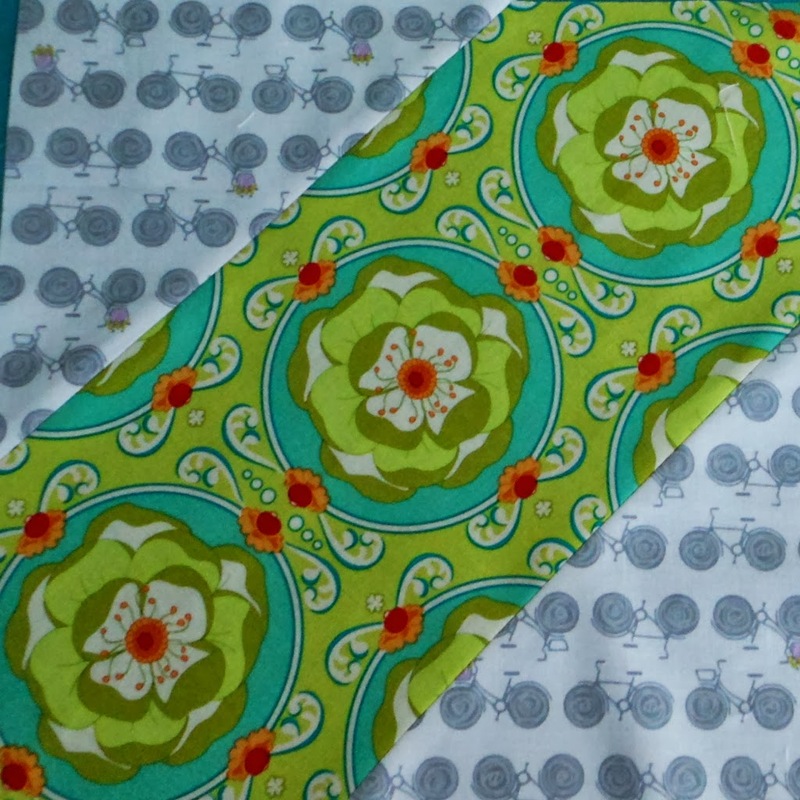 all seams ironed open. 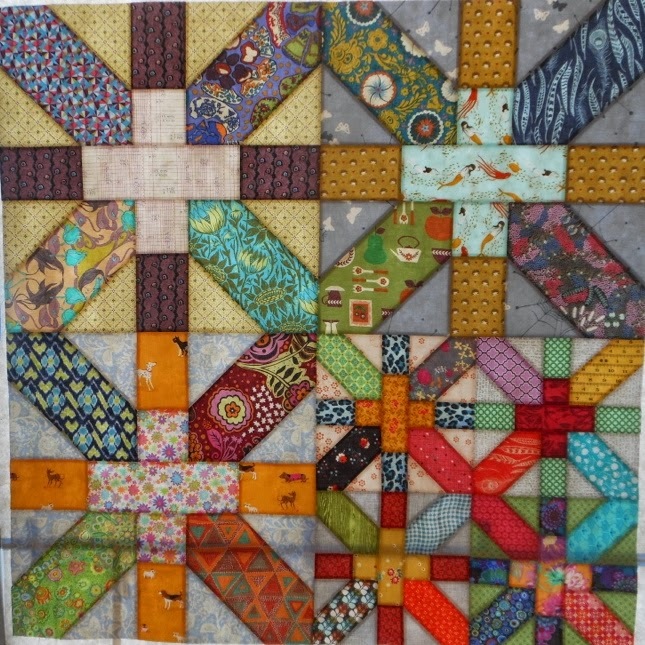 The look of the block varies greatly based on your choices, so have fun deciding what goes where! 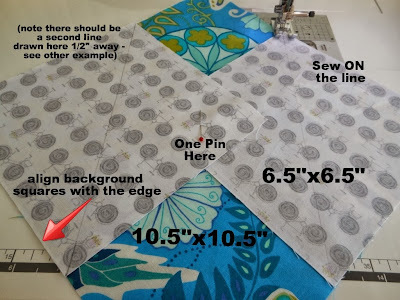 Take a picture for reference later, especially if you are chain sewing several blocks at the same time. 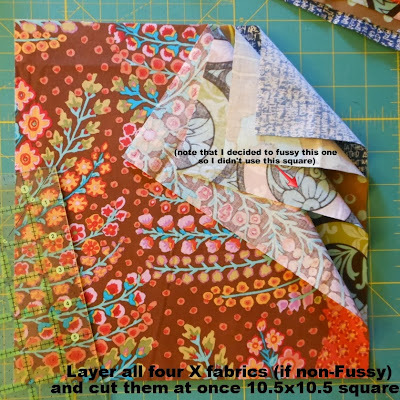 Cut Two 4.5"x 4.5" and One 12.5"x4.5" for the Plus from the same fabric. Above you can see a fussy and a non-fussy version. 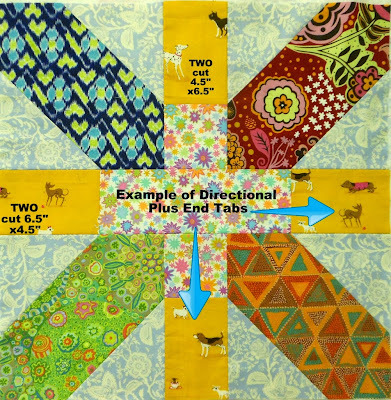 Cut Two 4.5"x6.5" and Two 6.5"x4.5" for the Plus End Tabs of the same fabric if your fabric is directional like the sample below. 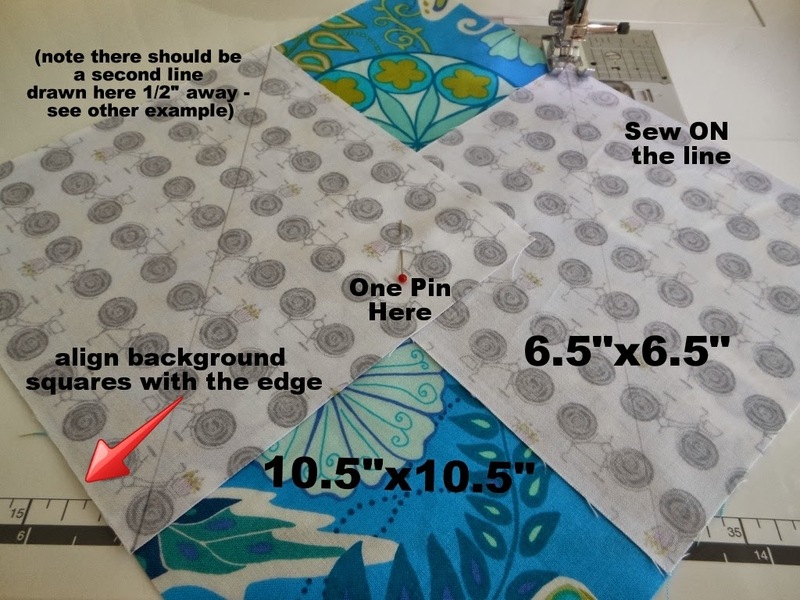 Later, you'll also need to pay attention to orientation during assembly OR you can cut Four 4.5"x6.5 of non-directional fabric stacked like the picture above. Using a 12.5" square ruler, cut a visual guide out of tracing paper 5.5" wide. 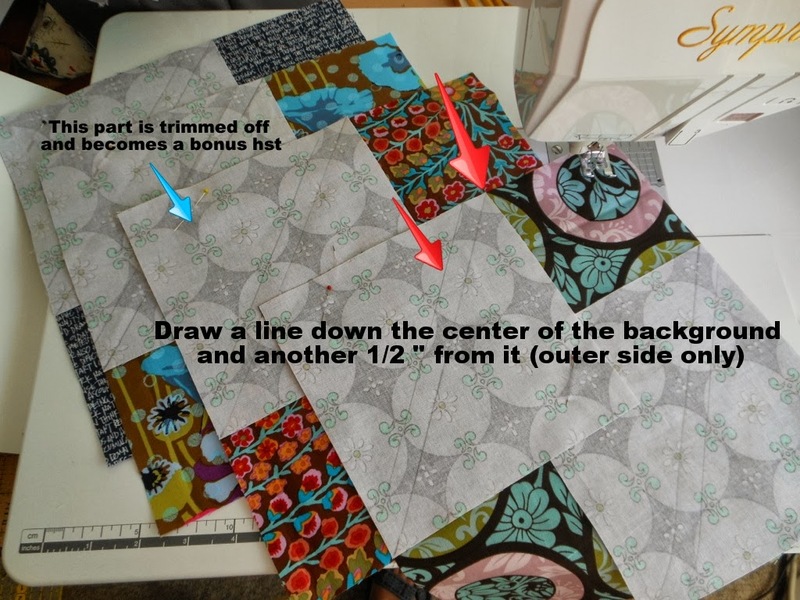 Draw a line down the center. 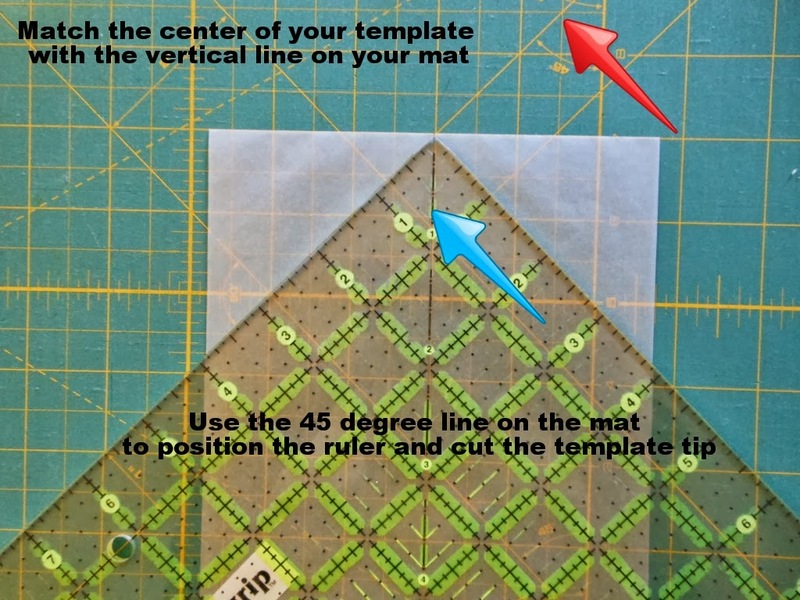 Place it on the mat using the 45 degree line & vertical reference (see arrows). Cut one tip. 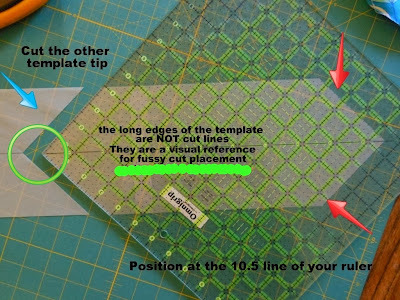 Reposition the ruler on the tracing paper at the 10.5" line shown below with red arrows and at the center line on the guide shown below with a green circle. 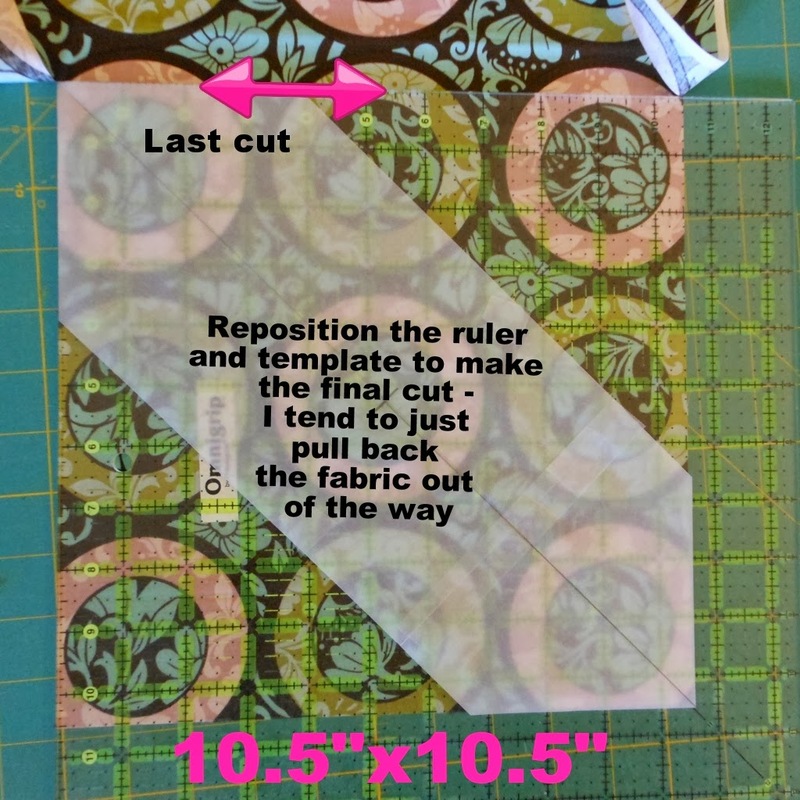 Cut the second tip. 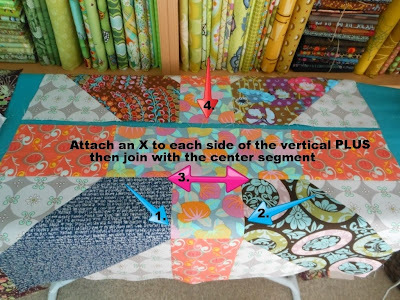 Remember that this is not a cutting template, but rather a visual guide for the X portion of the block. 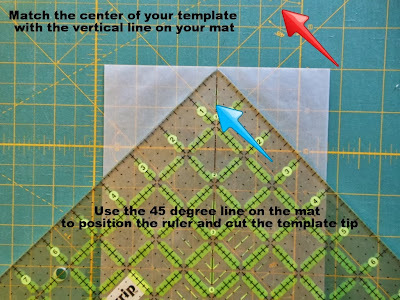 Mark the center of the guide and tape it to your ruler. Play around with the fabric pattern repeats until you find what you like. 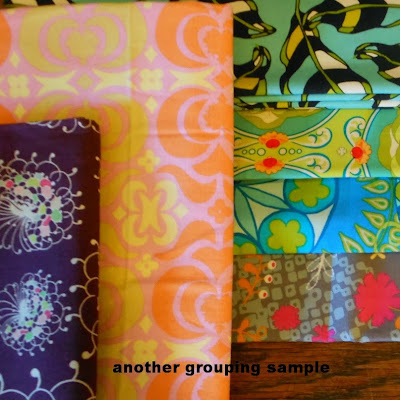 Because the block is Jumbo, you can highlight special larger scale prints. 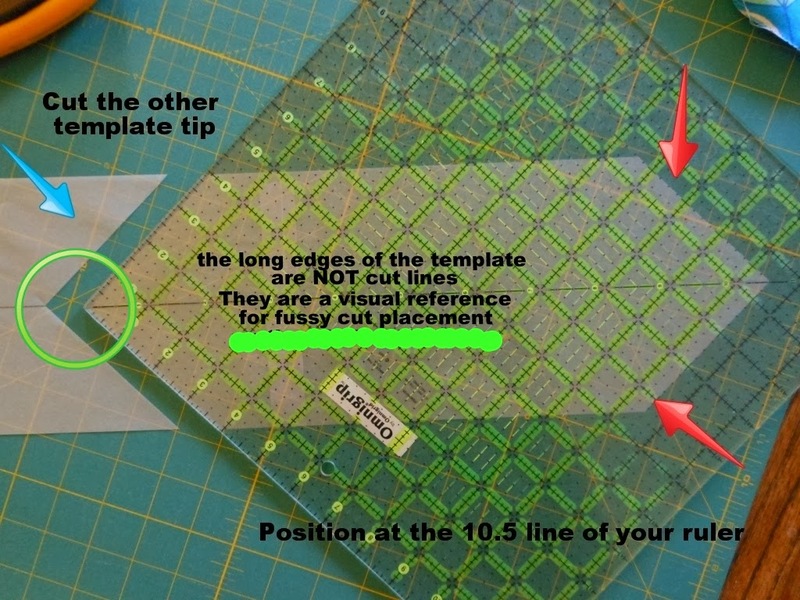 Cut the two sides where your tracing paper is at the ruler edge, shown at the top of the photo above. 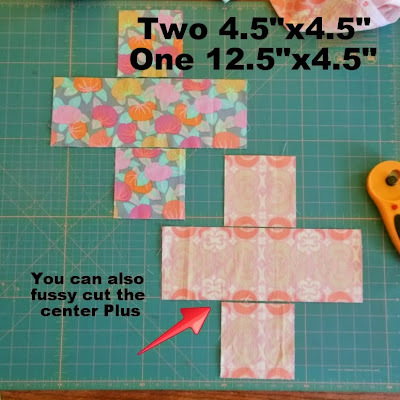 Reposition the ruler and cut the other two sides to get a fussy 10.5"x 10.5" square. Cut a stack of 10.5" squares. I prefer the look of mixing fussy and non fussy x segments together. 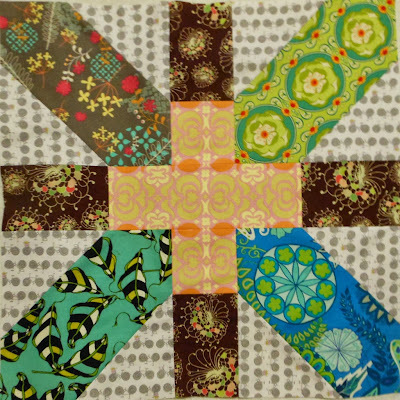 Cut Eight 6.5"x6.5" Background. For a high contrast, pick something that is similar to your Plus Center fabric and different from your X and Plus Ends fabric since they will touch. Draw a line down the center of the wrong side of the background squares tip to tip and another 1/2" from it on the outer side only. 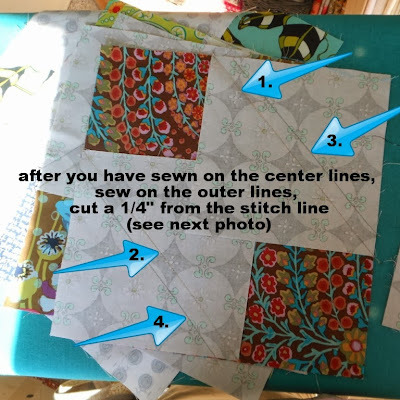 These will be your STITCH lines. Align the background squares with the edge of the x square and put one pin where they overlap and one pin near each outer point to help keep things in place. Chain piece all of the center lines on one side, then the center lines on the other side. 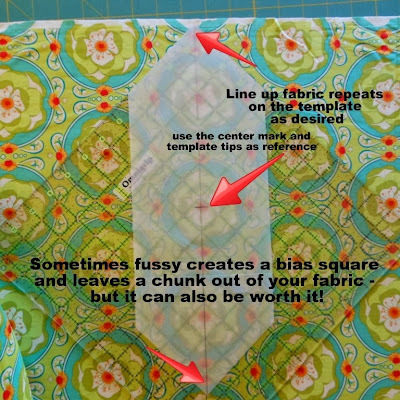 Do the same for the outer lines. Easy as 1, 2, 3, 4. 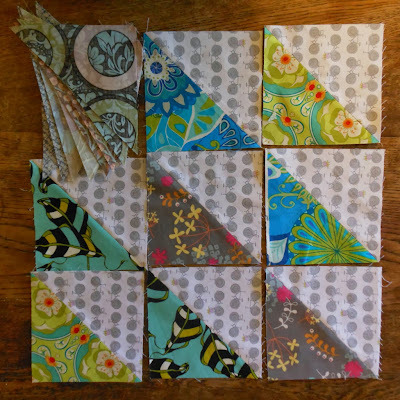 The bonus half square triangle are well worth the second pass because they're so large. Cut 1/4" from the center line right between the two stitch lines. 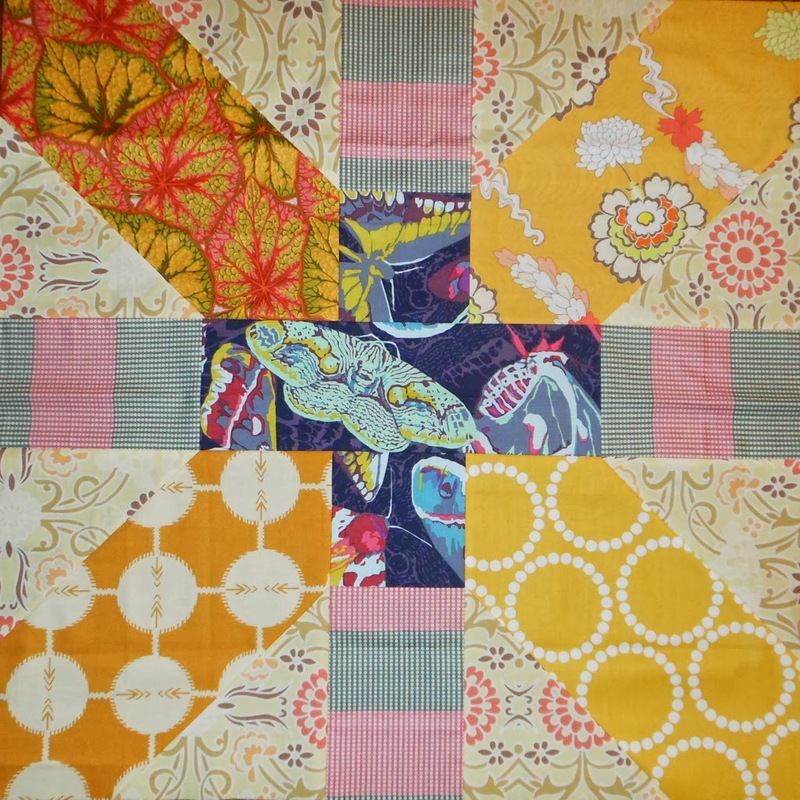 Here are the X parts once the background bonus half square triangles have been trimmed off. 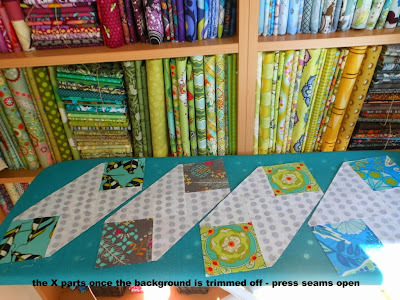 Press seams open being careful not to stretch or distort the square because they are now on the bias. 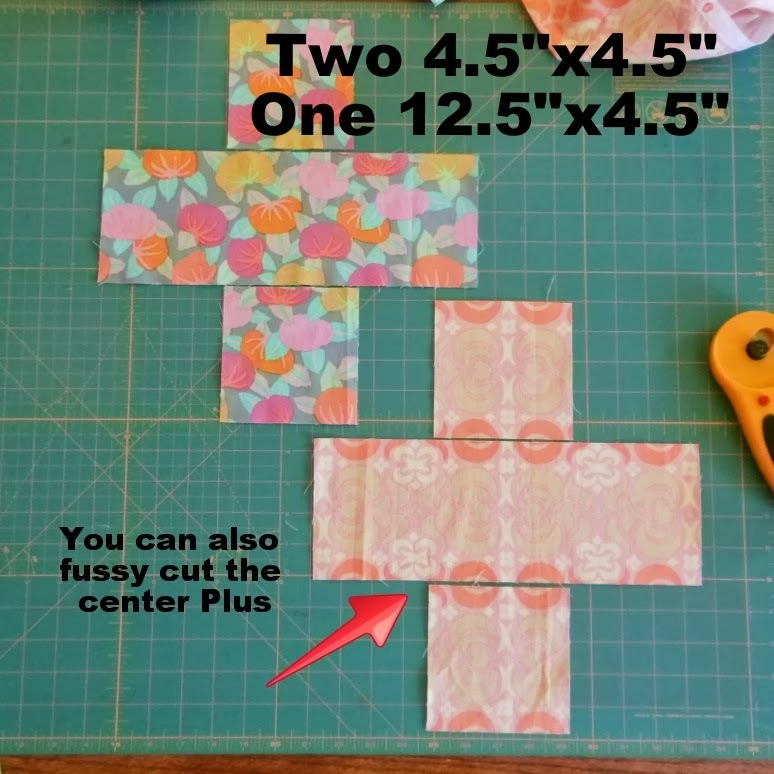 Sew a 6.5"x4.5" Plus End to the left and right of the Plus Center 4.5"x12.5". 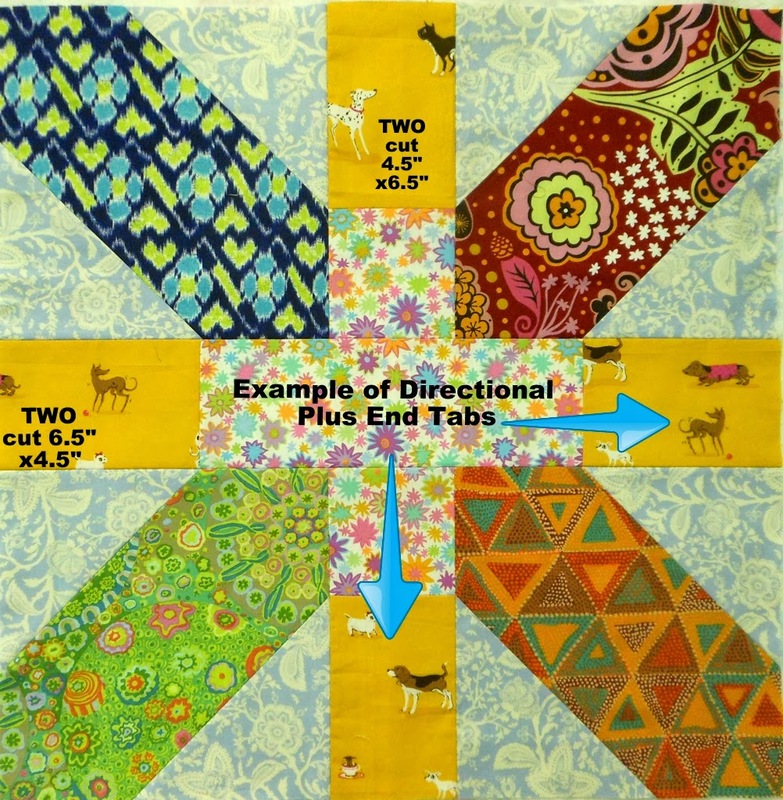 Sew a 4.5"x6.5" Plus End to the Plus Center 4.5"4.5" and repeat to make two. Refer to the numbers and picture above, pressing open seams between each step: Sew an x segment to each side of the vertical Plus, repeat to make two. Sew the horizontal seams #3 & #4 and you're done! During the final assembly steps I pin the ends and along the joints but I don't stress about perfect joints. Measuring just shy of 6", these are totally usable parts for another project and you get eight from each block with little extra effort. I will probably clean up them to 5.5" before sewing them together. 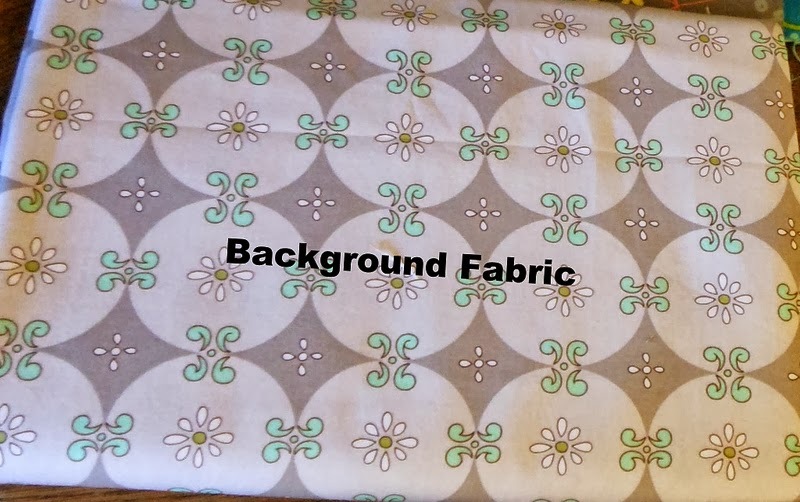 Sample of a lower contrast background. 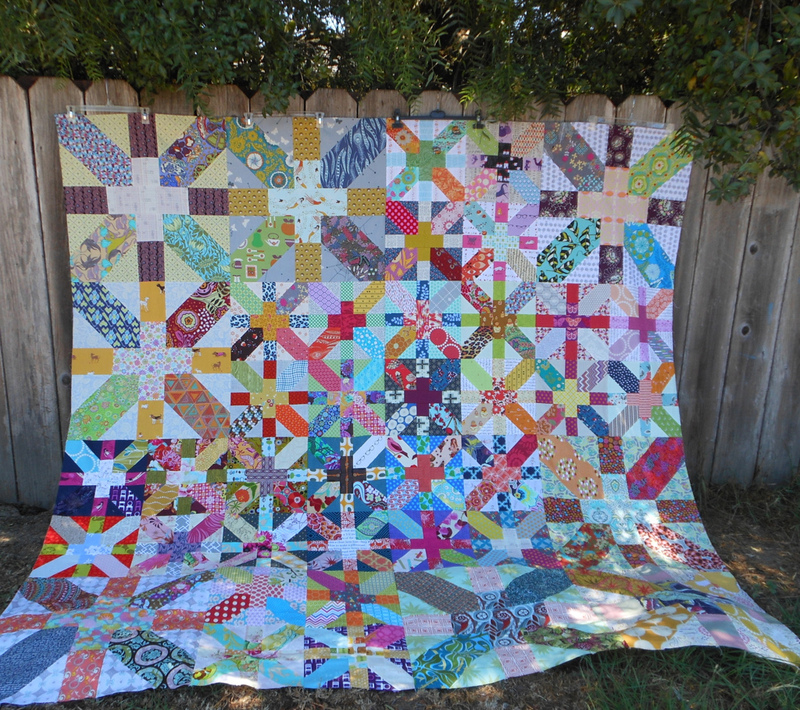 Four 12.5" blocks sewn together join nicely to the 24" blocks. Your quilt is outstanding. I keep looking at it, and drinking it in. 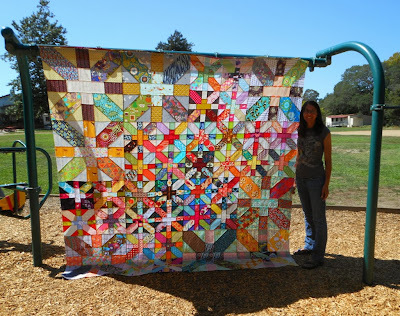 I'll be putting this on my to do list. Thanks for the tute, too. Love this collection of different sized x and + blocks! 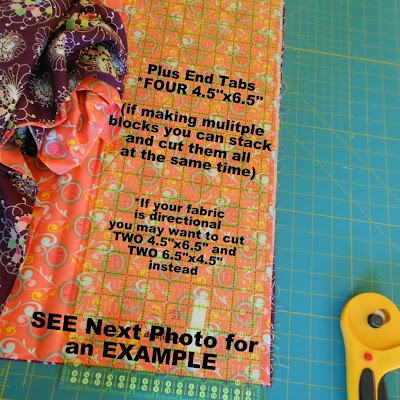 Karen, Thank you so much for sharing this tutorial. 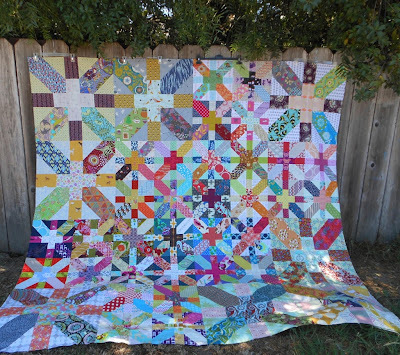 This is one of my all time favorite blocks and I so appreciate you sharing this! 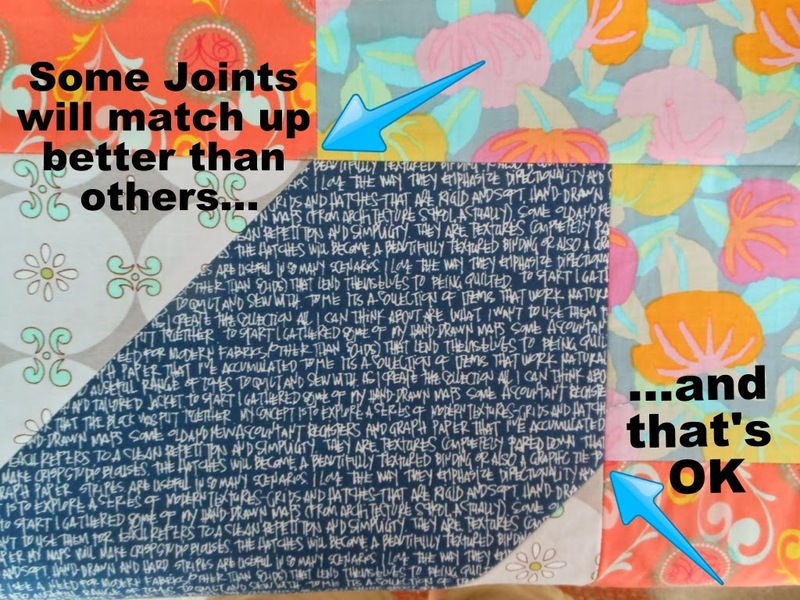 You did a very good job writing this up!! Have a Merry Christmas!! Love it! Thanks for the tutorial! Cannot start until September unfortunately. 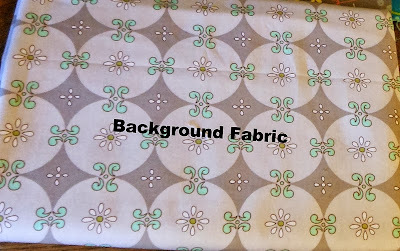 But will start gathering my fabric bits. 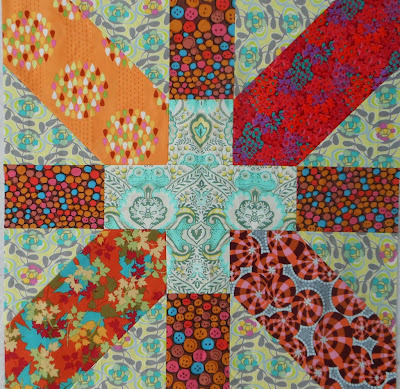 Thanks so much for the tutorial for this - it's wonderful and I think needs to go onto the coming year's TO DO list. Thank you for sharing the tutorial.